Pastor Clenard Howard Childress, Jr., a lifelong resident of Montclair, New Jersey, joined the New Calvary Baptist Church in September of 1974 under the pastorate of Dr. Shellie Sampson. In 1978, he was appointed Director of the Youth Department, to organize and educate youth. Pastor Childress successfully completed Northern Baptist School of Religion in 1986 where he majored in Christian Education. He was ordained in 1988 by the North Jersey Shiloh Association and later installed as Senior Pastor of New Calvary in April of 1989. 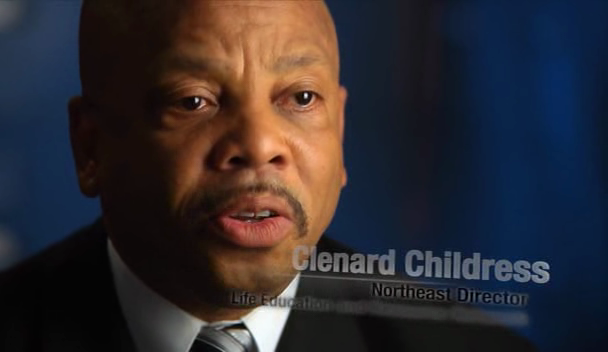 In August of 1999, Pastor Childress was appointed President of the Life Education And Resource Network (L.E.A.R.N.) in Northeast Region. He was a chief organizer of the "Say So" March to the U.S. Supreme Court in Washington, DC. In May of 2001, Pastor Childress began broadcasting "The Urban Prophet" taking the pro-life pro-family message into the urban areas. In March of 2003 Pastor Childress was appointed to the Board of The Center For Bio Ethical Reform. The Center For Bio Ethical Reform is a National Group that is dedicated in educating the nation and foreign countries on the rights of the unborn. In 2004 Rev. 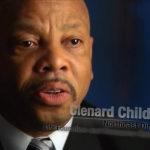 Clenard H. Childress Jr. was appointed by the Board Of Directors of LEARN to: Assistant to The National Director, Of The Life Education And Resource Network. On January 23, 2005 Pastor Childress having been recommended by his peers and approved by the Board of Scholars of the National Clergy Council of Washington Dc in conjunction with the Mid-Atlantic Conference of the Methodist Episcopal Church–USA, received The Honorary Degree of Doctorate of Divinity.